Our 2018 Distinguished Knight Award recipient is a proud graduate of the Bishop Luers Class of 1966. He spent many years working for a city government in Illinois helping improve the community for people he served. When he returned to Fort Wayne, he immediately began volunteering at Bishop Luers to give back to the high school that strengthened him as a young man. 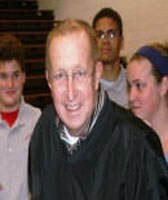 He is a strong supporter of Bishop Luers by giving his time, talent and treasure. He often attends alumni functions and can be counted on to be a lector at alumni Masses. 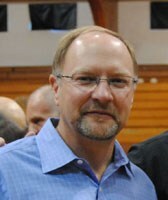 He is active in the community as well, as an instructor of Dave Ramsey’s Financial Peace University program. This retiree also has been active for five years serving the American Red Cross as a liaison in 11 counties in northern Indiana to alleviate suffering caused by natural and man- made disasters. 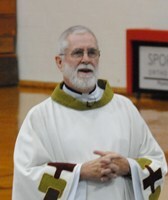 He also volunteers at his home parish in Roanoke as a Eucharistic Minister and a money counter. He served our country for 3 years in the U.S. Army during the Vietnam War. This year’s recipient puts Christ in the center of all he does. He credits his servant’s heart to his Catholic upbringing. 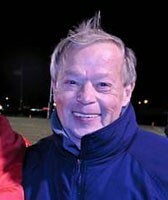 We are pleased to present the 2018 Distinguished Knight Award to Bruce Keller. 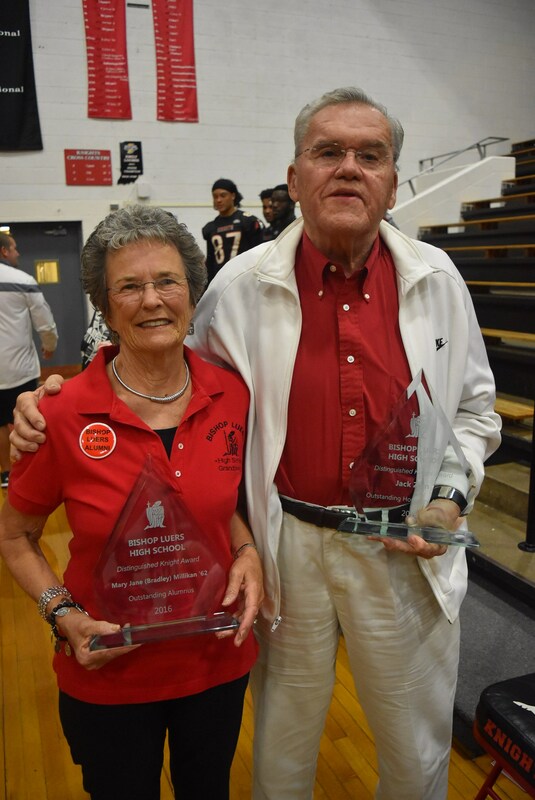 Our 2018 Honorary Distinguished Knight Award recipient remembers when this high school opened its doors and welcomed the very first class of students that attended Bishop Luers in 1958. 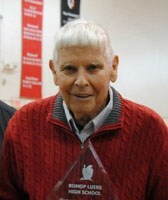 He coached the boys’ varsity basketball team at St. John the Baptist- FW, for 12 years from 1959-1973. For the past 65 years, he has been active in the community as a member of the Knights of Columbus and was an Usher and Eucharistic Minister for 42 years. He volunteered on the early morning shift at Saint Mary’s Soup Kitchen on the Tuesday/Thursday crew for 29 years. Our recipient served in the Army during World War II, where he showed bravery during battle in Germany. For serving his country, he was awarded two Bronze Stars along with an Honorable Discharge at the war’s end. 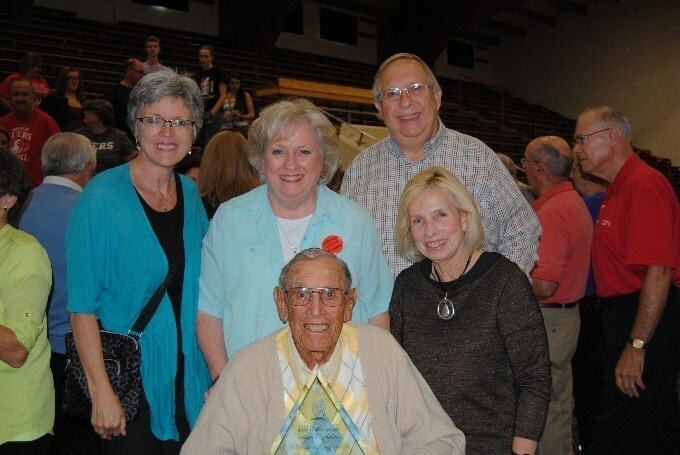 He is a devout Catholic widower and the father of three daughters, Ann, Linda, and Marie who all graduated from Bishop Luers High School. 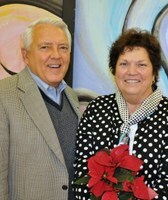 Together with his beloved wife Marge, of 60 years, he has seven grandchildren and 13 great-grandchildren. In May of 2018 the University of Saint Francis’ Board of Trustees and its President Sister Elise Kriss, OSF, awarded him an Honorary Doctor of Humane Letters at Commencement for his lifetime accomplishments and service to God and his community. We are pleased to present the 2018 Honorary Distinguished Knight Award to Robert Heiny, just 96 years young. 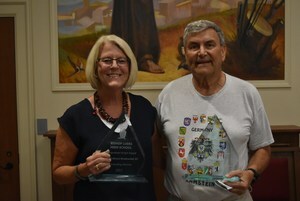 2017 Outstanding Alumna Eileen Sullivan Brodmerkel, Class of 1967, left, and Outstanding Honorary Alumnus John Sorg, right. Awards sponsored by Saint Anne Communities. 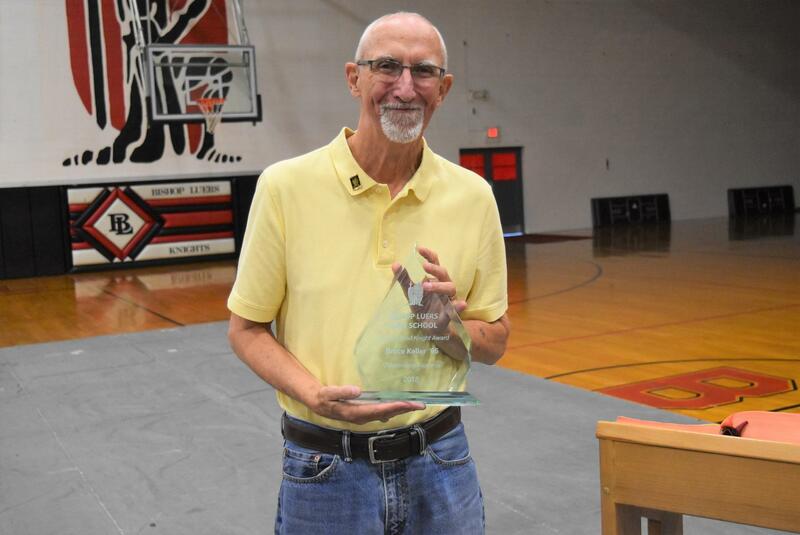 The 2017 Distinguished Knight is a proud graduate of Bishop Luers class of 1967, who recently retired after twenty-five years of teaching English here at Luers. She loves this school, sending her own children here, and she continues to be a substitute teacher at Luers on a weekly basis. This Distinguished Knight has a strong faith that keeps her volunteering at her home parish of Saint John the Baptist Fort Wayne, participating in both the Arts & Enrichment and the festival committees. She also volunteers at her brother Father Bill Sullivan’s parish of Saint John the Baptist New Haven. 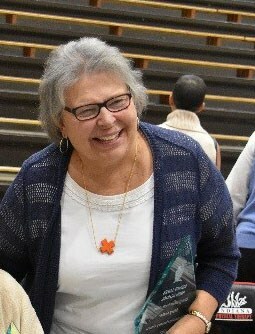 This person is a true example of the qualifications required for the Distinguished Knight; a graduate who has contributed outstanding and distinguished service to their community and who contributes dedication and support to Bishop Luers. The Bishop Luers Distinguished Knight for 2017 is Eileen Brodmerkel. 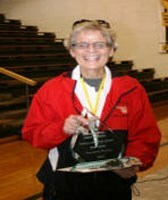 This year’s honorary Distinguished Knight came to Bishop Luers High School in 1963. At the time, he was only one of five lay people. The rest of the staff were religious brothers, sisters and priests. 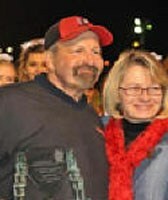 He held many leadership positions at Luers including Athletic director, and is a published author of a textbook. He has worked with every staff person from August of 1963 through May of 2017, a total of 53 school years. 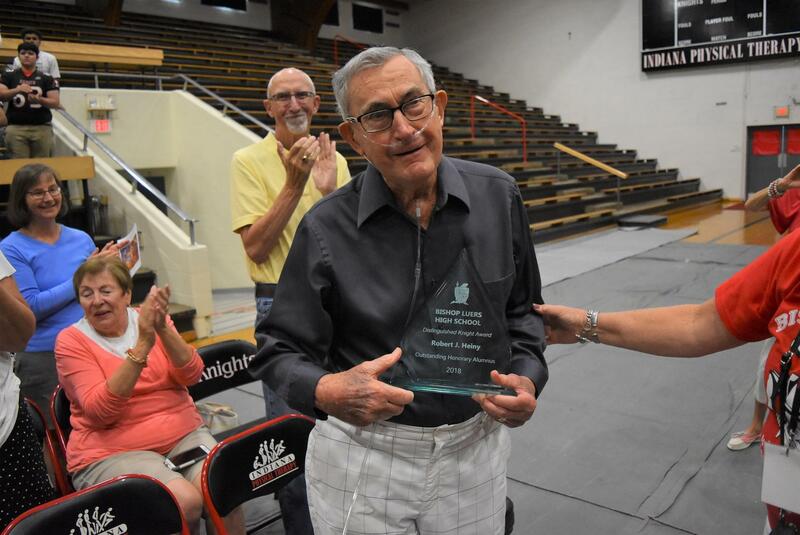 Blood donation is a value this honorary Distinguished Knight has adopted and this person has been recognized by the Red Cross for his major blood donations over the past 25 years. 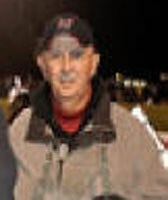 His contributions at Bishop Luers and in the community are too numerous to mention here. Needless to say he is well known for his gifts of time, talent and treasure to this school and the Fort Wayne community, and truly deserves this award. 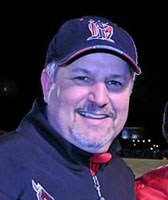 The 2017 Bishop Luers Honorary Distinguished Knight is Mr. John Sorg.